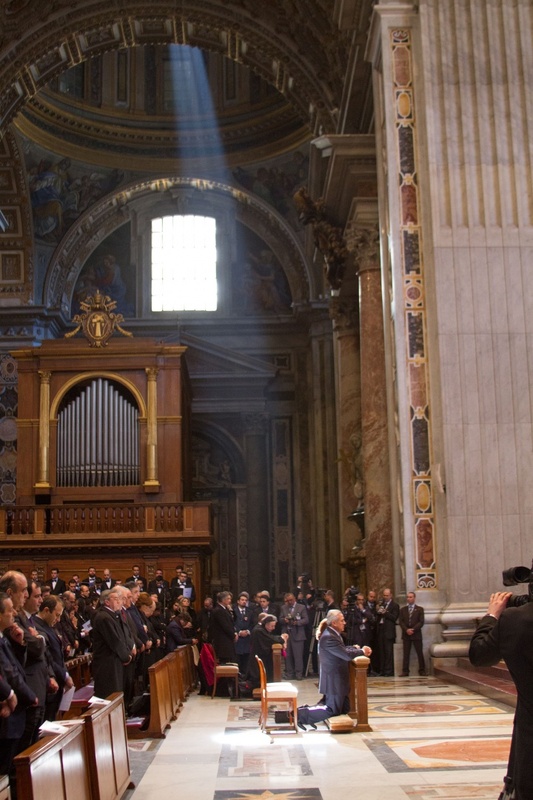 2,000 years ago on the day of Pentecost, the 50th day, the Holy Spirit fell upon His people, baptizing them with fire, endowing them with His mighty supernatural power, and in that moment, the Lord birthed His Body, the Church into the earth. 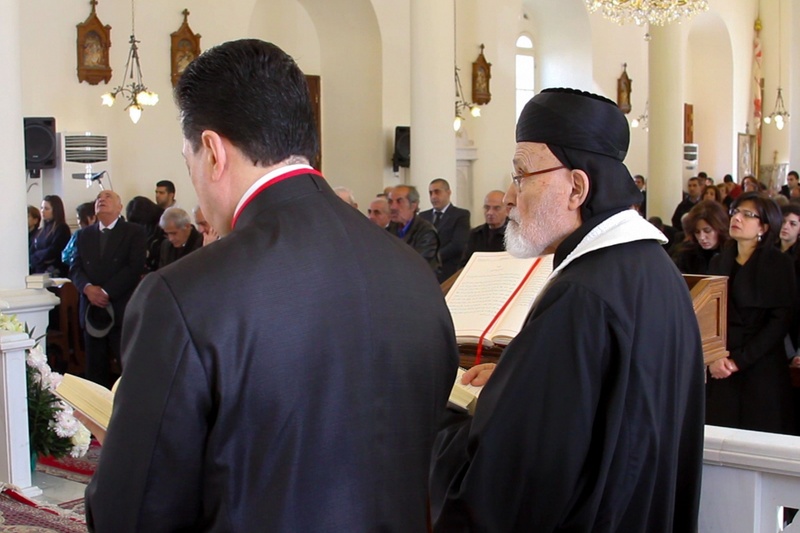 In a single day, 120 believers grew to 3,000 and began a divine momentum, the acceleration of which filled the entire city with the works of the apostles, spreading immediately through Phoenicia, Antioch, and all of the East. 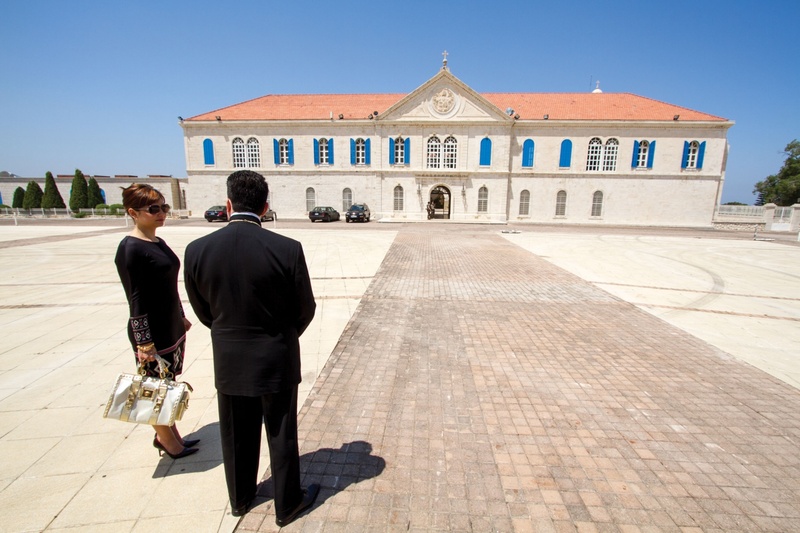 The characteristics of this supernatural, New Testament community would soon spread the Gospel with signs, wonders, and miracles, carrying the reality of Christ’s resurrection to the far reaches of the earth, and turning the world upside down. 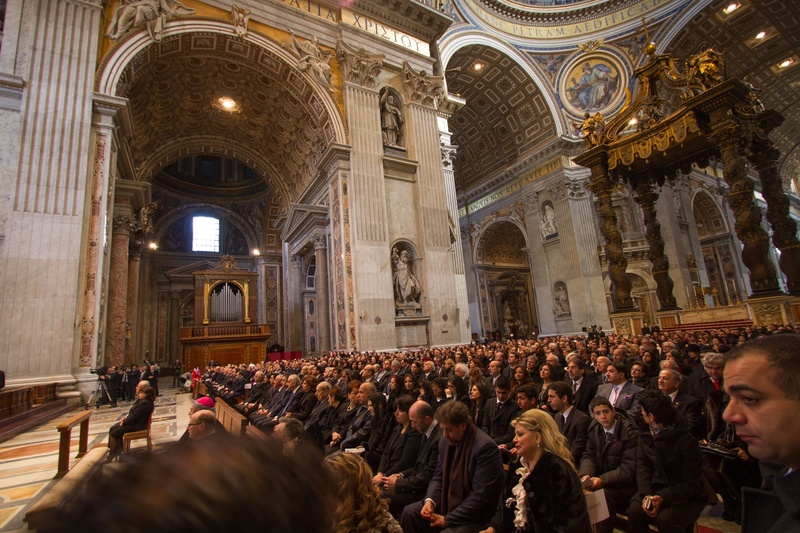 In just a few short centuries the Lord would transform the life and character of the nations of the world and turn their faces to him through the powerful working of His Body, the Church. 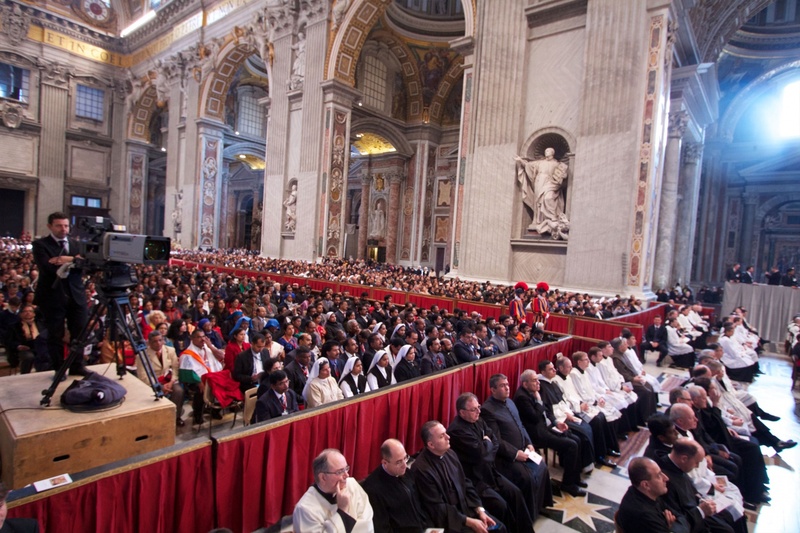 A Universal Body, unconfined and unlimited by national, geographical, organizational, or cultural borders, able to bring the people of God into a global unity never experienced by any people or nation before. 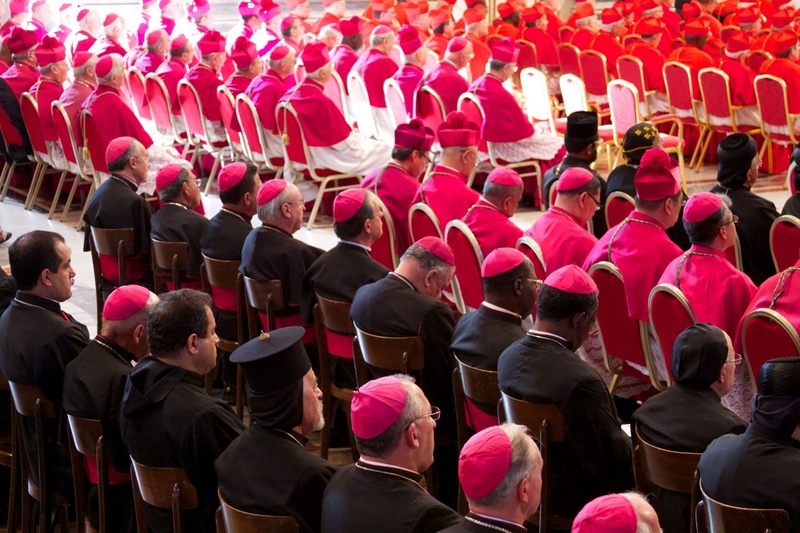 A Body contending for the orthodoxy of Scripture and doctrine and the purity of the glory of God. 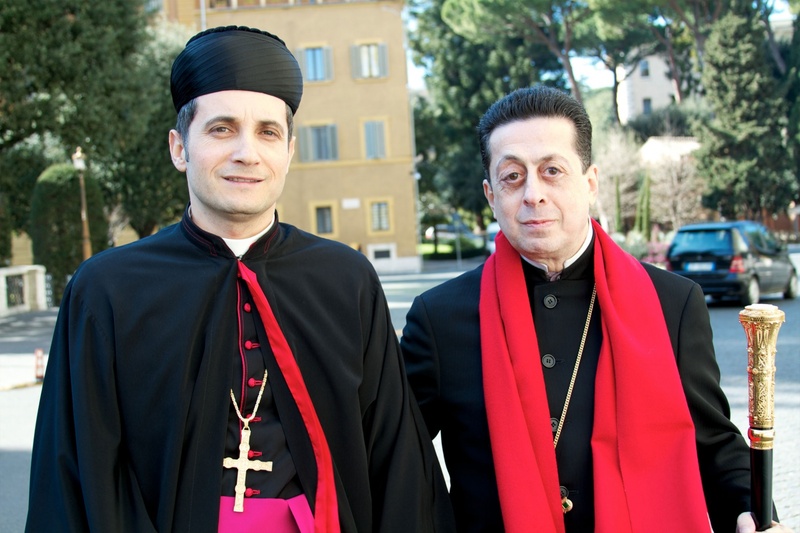 A Body carrying the truth of the Gospel of Jesus Christ to the world through the power of apostolic evangelism. 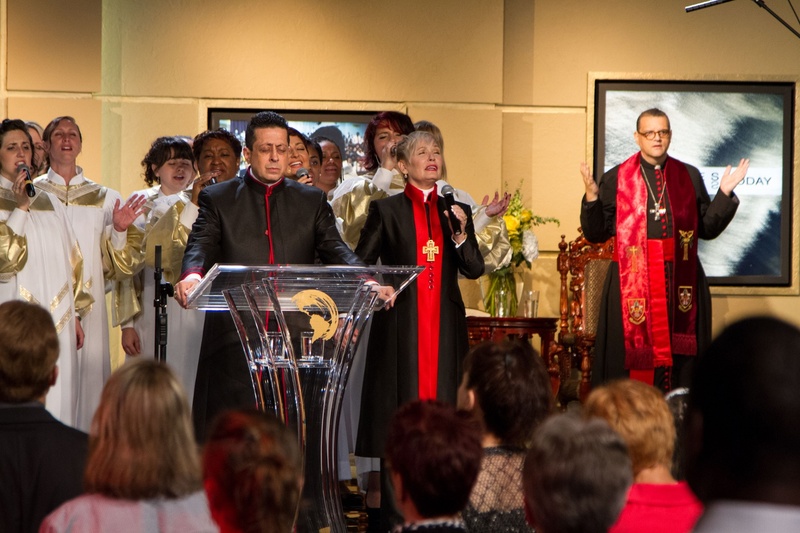 We would like to give special honor and thanks to the people of the ancient Church in the East who have greeted and received us in fellowship, friendship, and unity as we work in the nations to raise up and train God’s children. 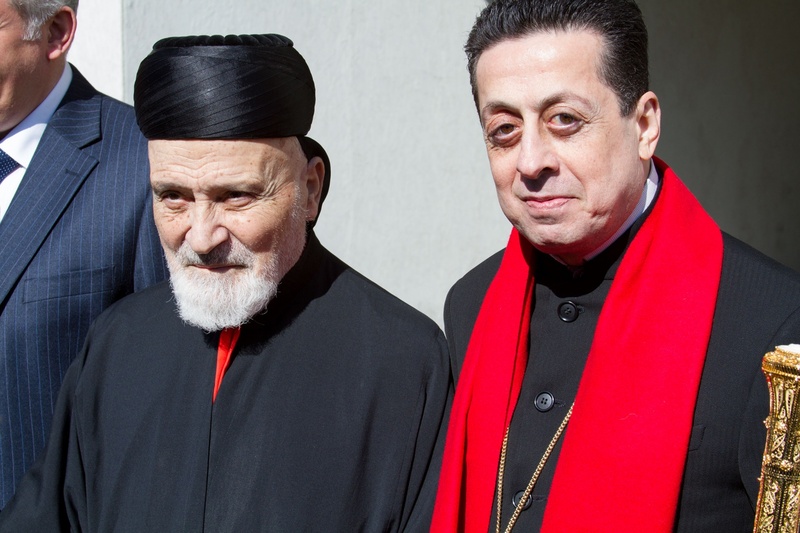 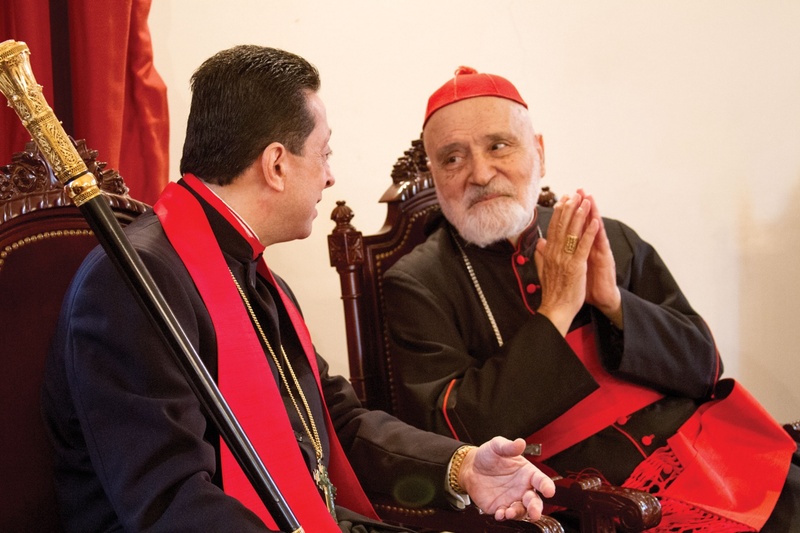 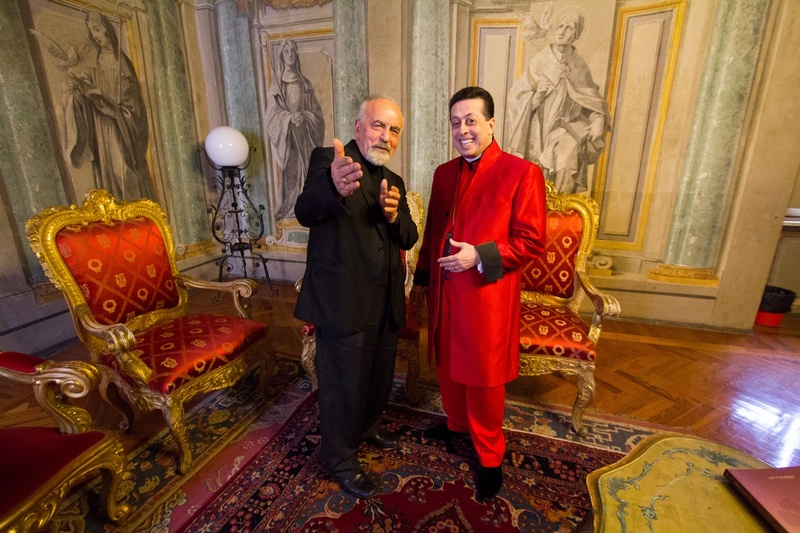 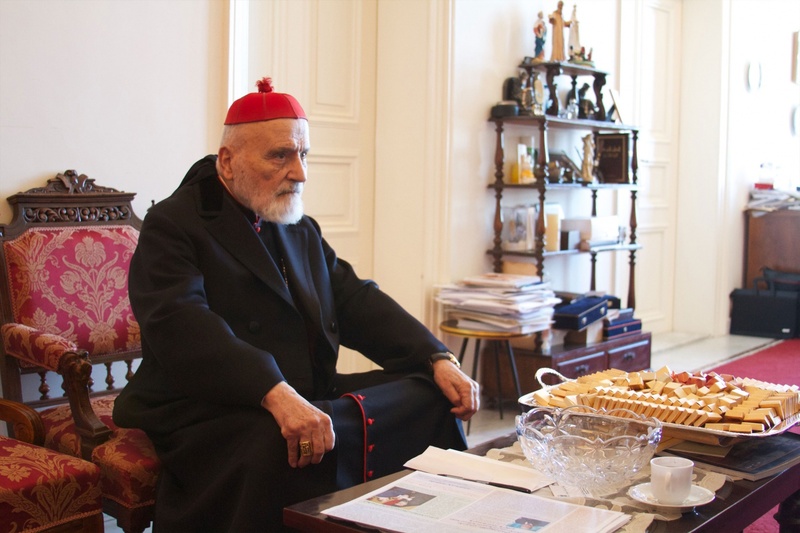 Patriarch Sfeir received us graciously at the Maronite College in Rome in February of 2011, when we were invited to attend the dedication of the statue of St. Maron, father of the Maronite Church, at the Vatican. 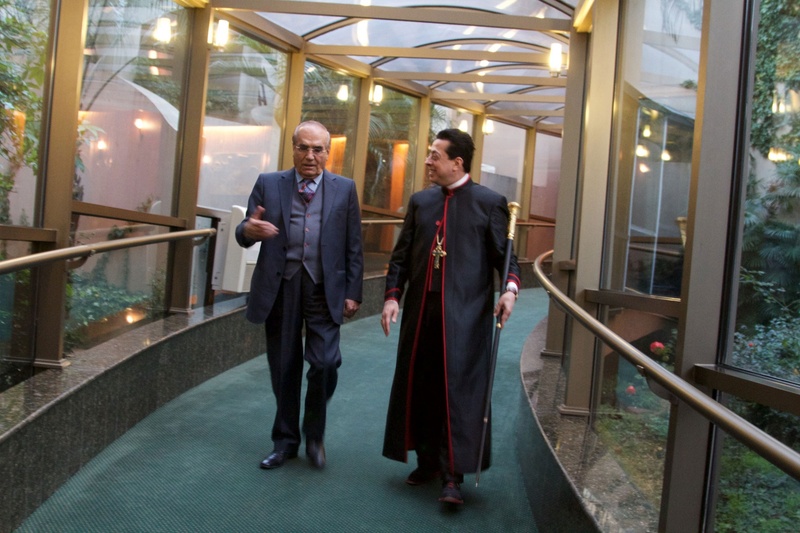 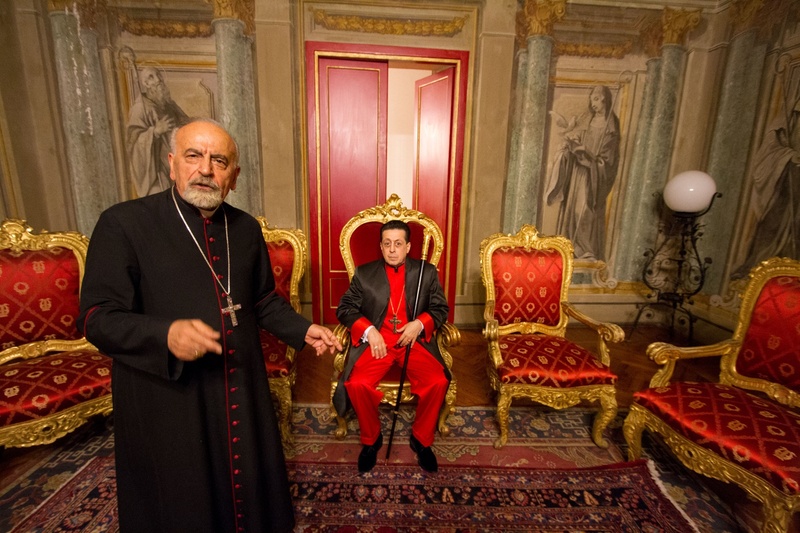 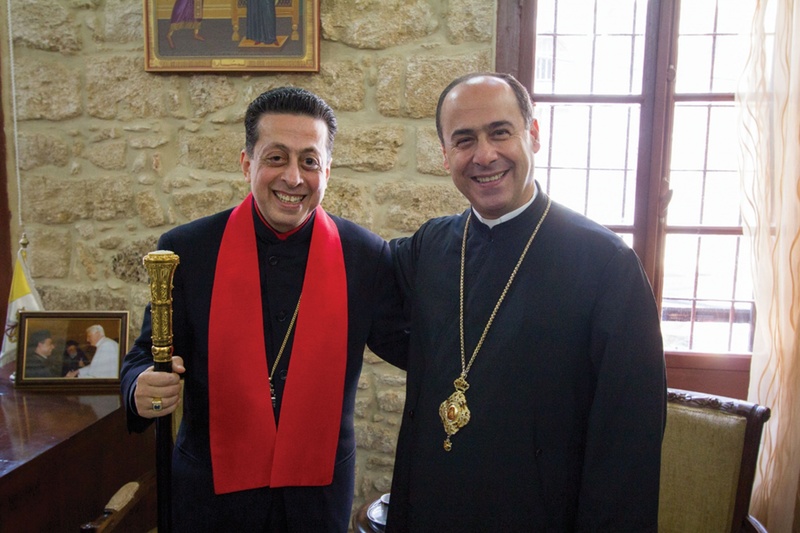 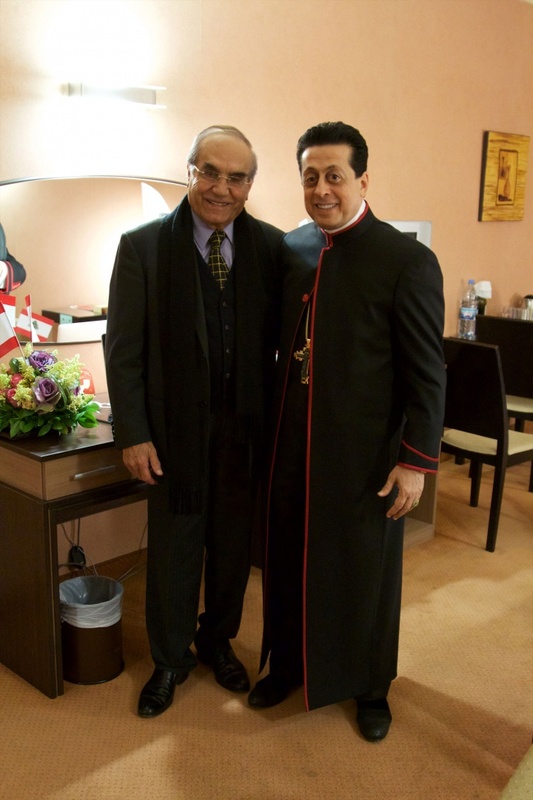 There Doctor Harfouche was able to share with the Patriarch the God ordained circumstances of his calling, and the story of Doctor Robin’s miraculous healing. 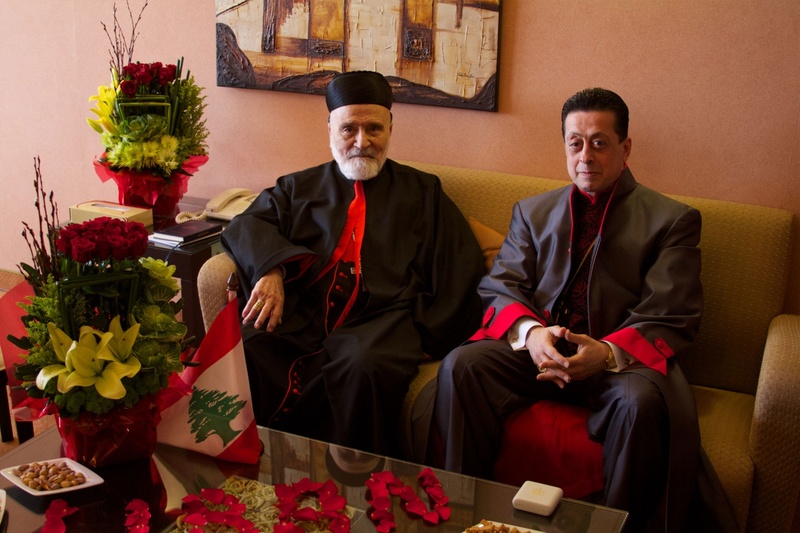 We have since visited with him continually in Lebanon when we travel there, and have always been received with an unparalleled grace and honor. 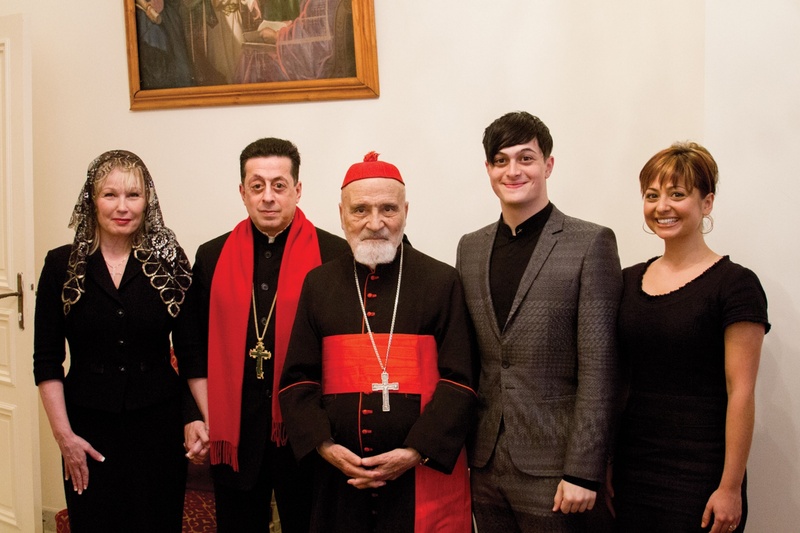 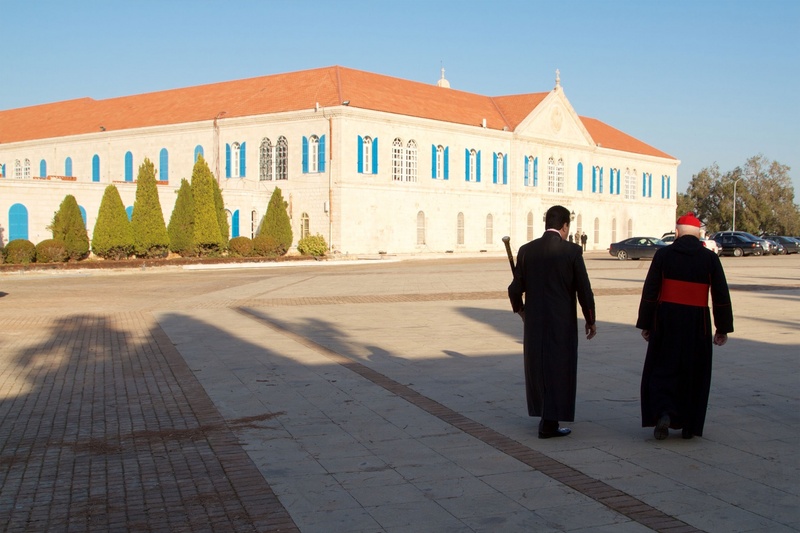 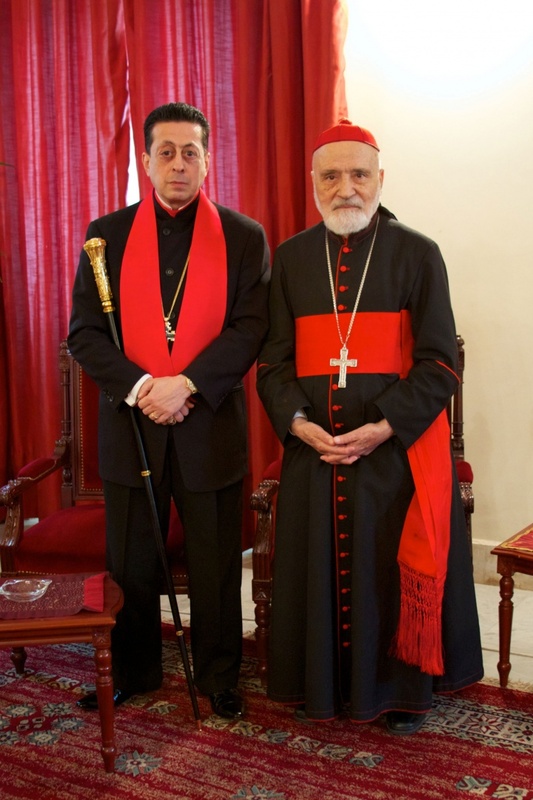 We met with Patriarch Rahi at the Patriarchal Palace Bkerke shortly following his election as Patriarch Sfeir’s successor, during our first visit to Lebanon in 2011. 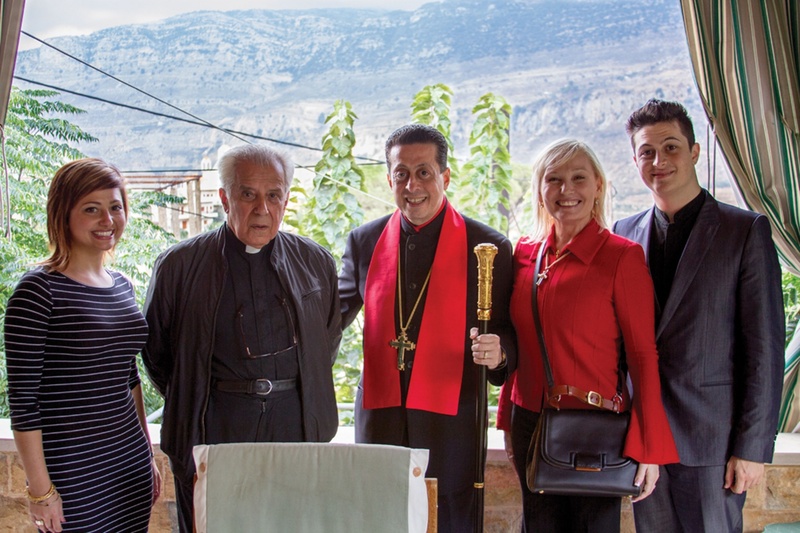 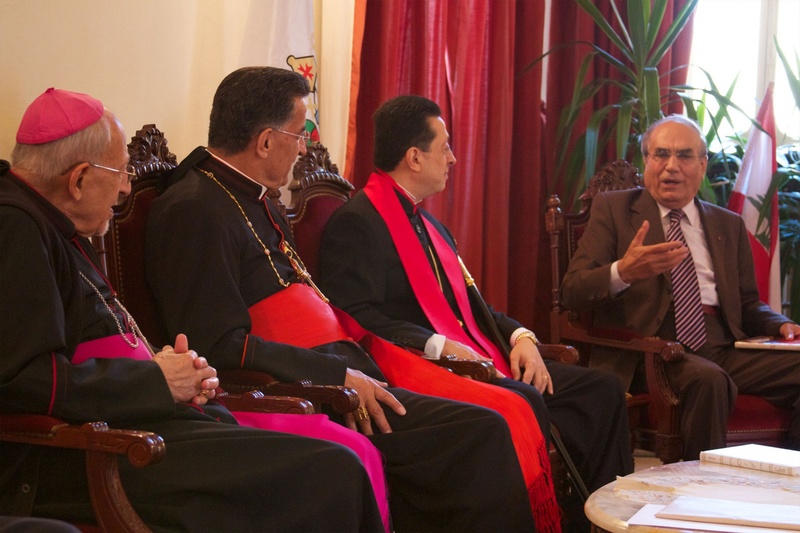 He received us graciously as representatives of the Miracle Faith Apostolic Global Church, referring to it as a “Acts of the Apostles Church” and welcoming us to Lebanon. 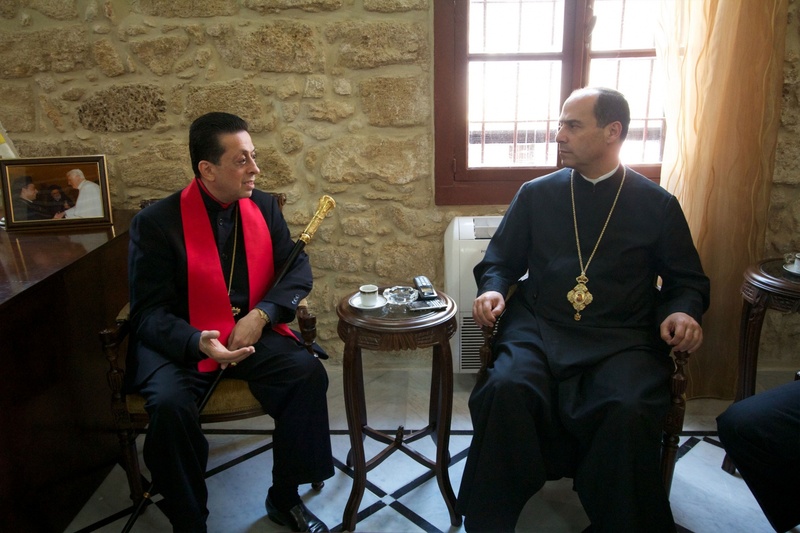 We have since visited him numerous times, discussing the importance of christian unity, and the state of Christianity in the Middle East. 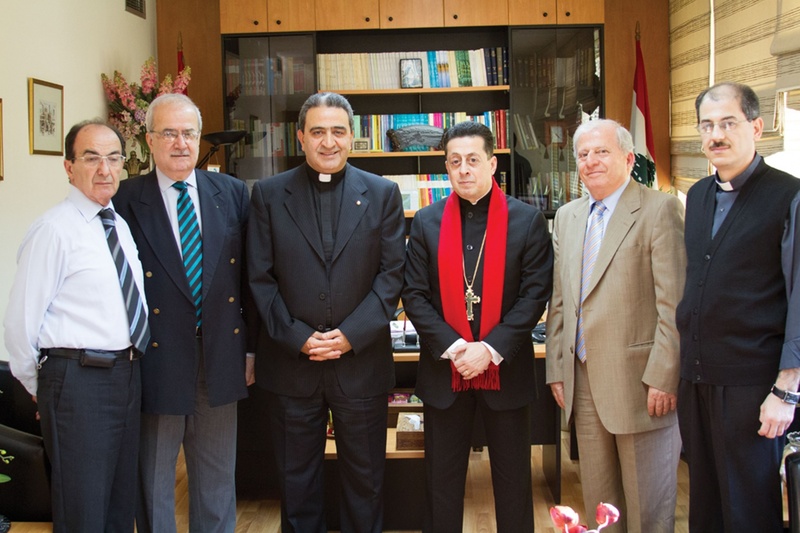 Prior to the outbreak of the current humanitarian crises in the Middle East we began working with Caritas in order to bring a shipment of medical supplies to Lebanon, to help care for the refugees and other needy in the country. 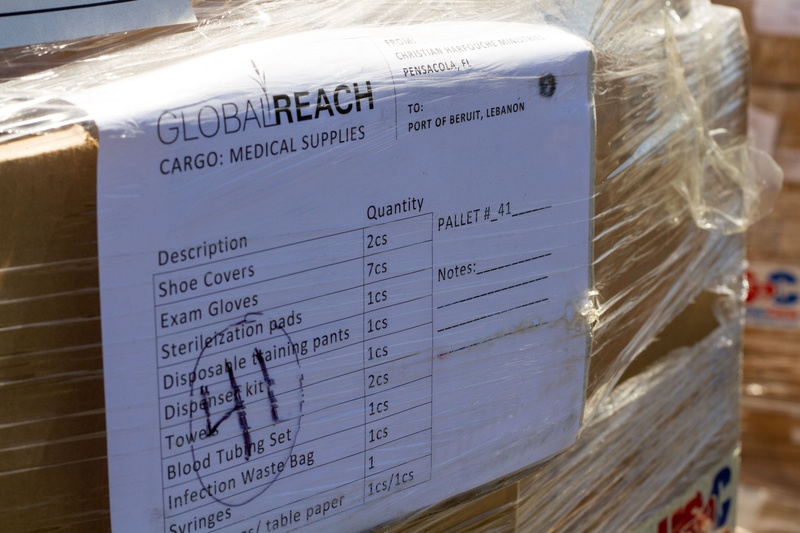 The shipment arrived just as masses of refugees began to flood across the border into Lebanon, before any other humanitarian aid could begin to be assembled in response. 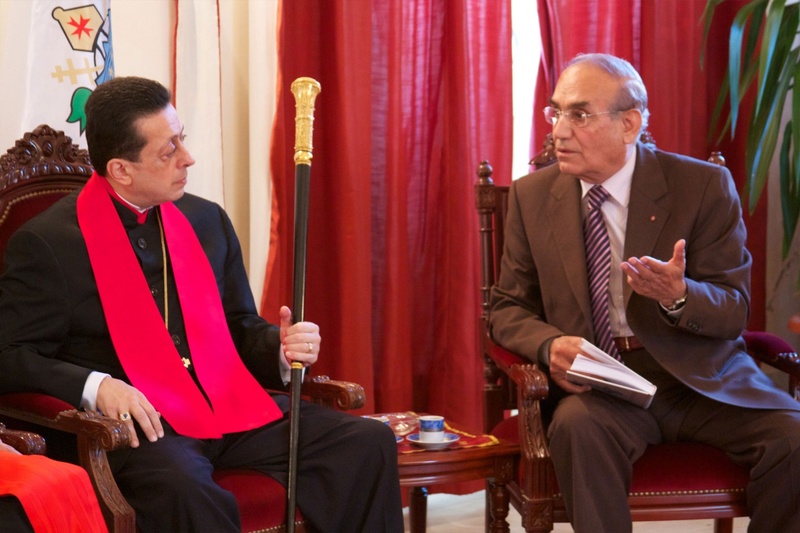 We have continued to work with Caritas, and hope to work with them to bring even more relief to this, and other pivotal nations in the future. 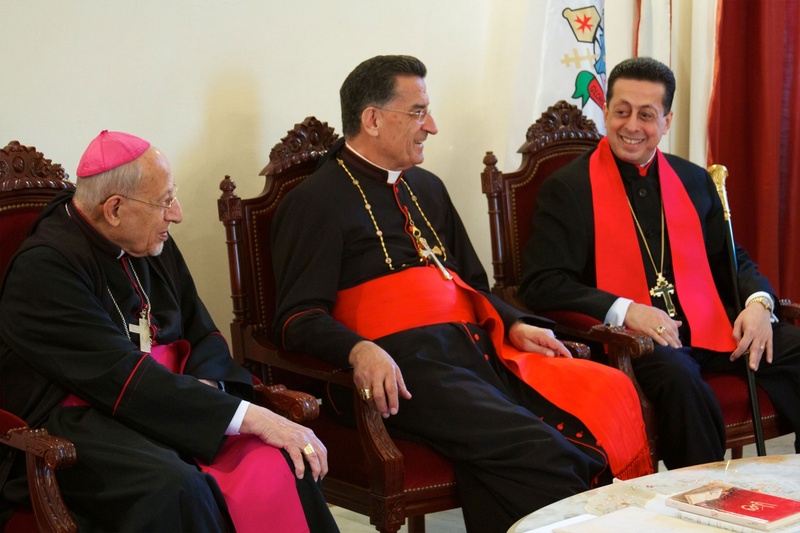 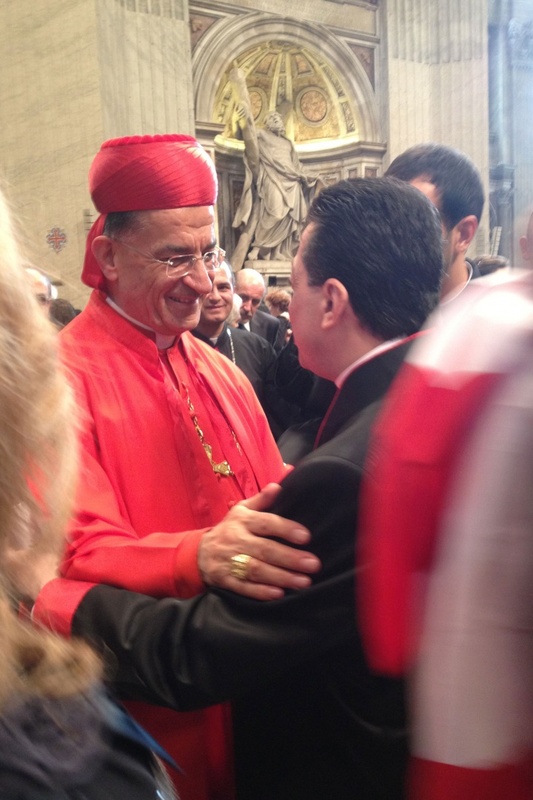 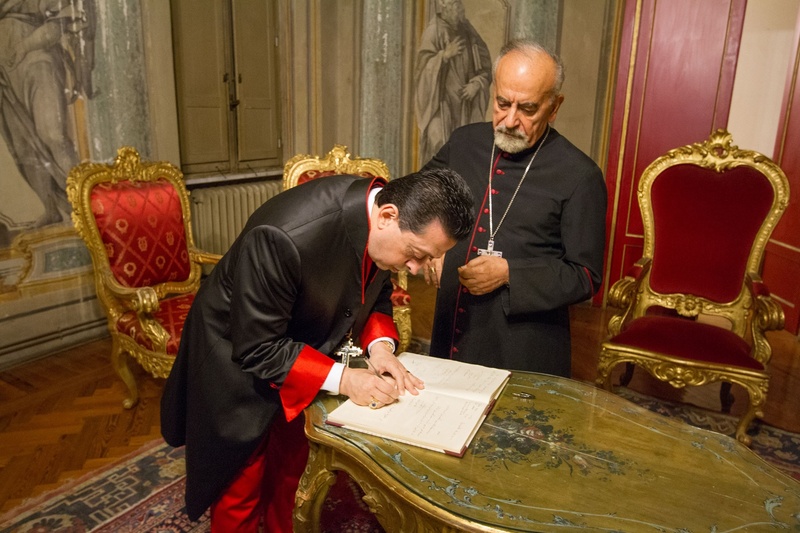 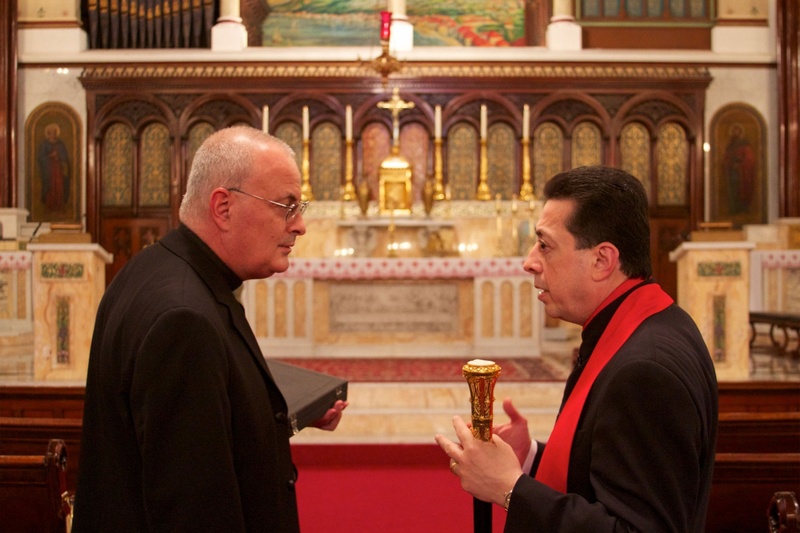 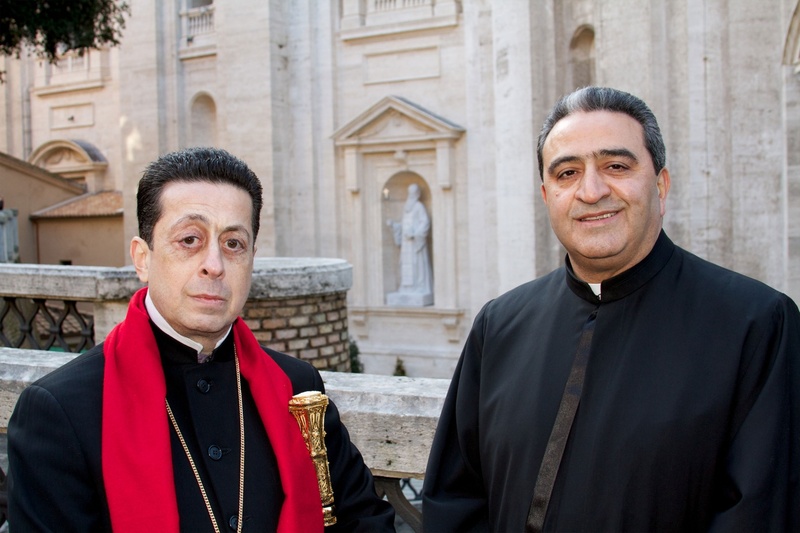 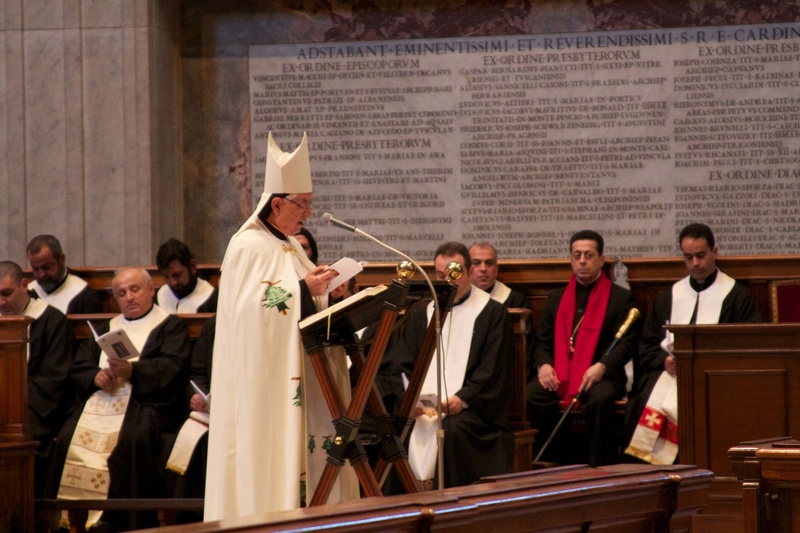 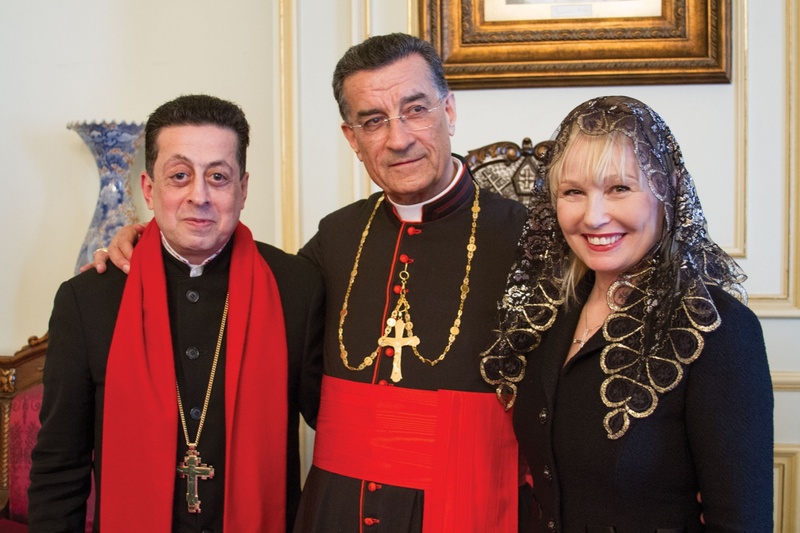 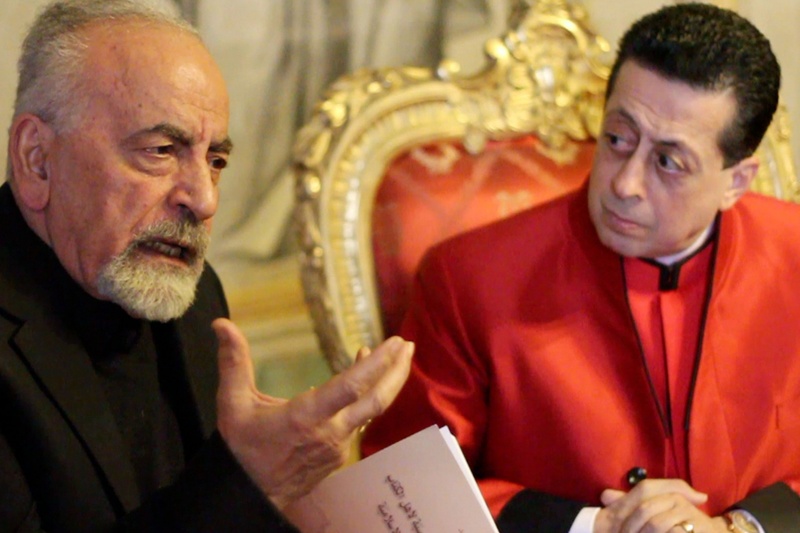 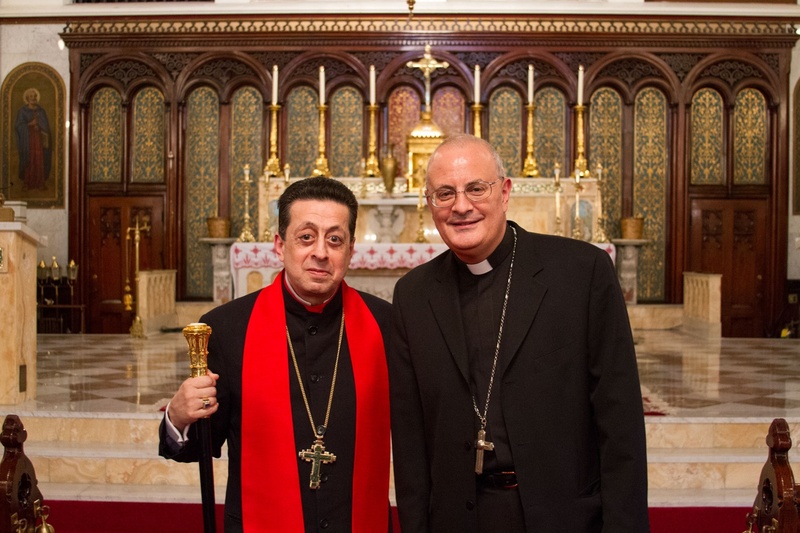 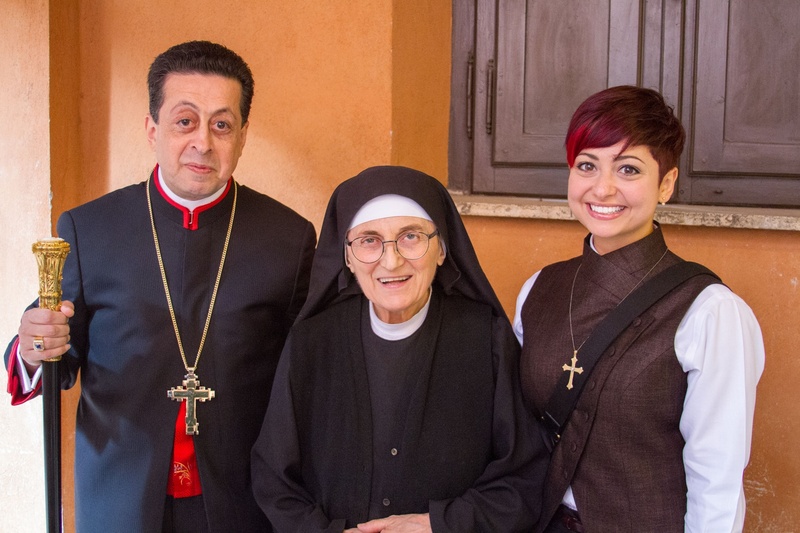 Archbishop Mikhael Al-Jamil invited us to the Patriarchate of Antioch of the Syrians, Procura to the Holy See in Rome when we visited in 2012, receiving us warmly on two occasions where we spoke at length about both the history, and the future of the Church in the Middle East. 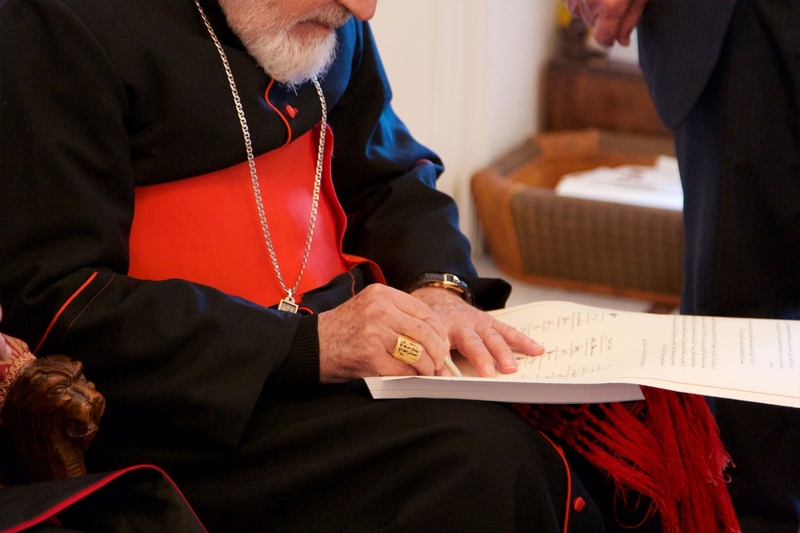 He was one of the foremost scholars on the history of Christianity in the Middle East, and one of the few who could fluently read, write, and speak aramaic (the language that Jesus spoke). 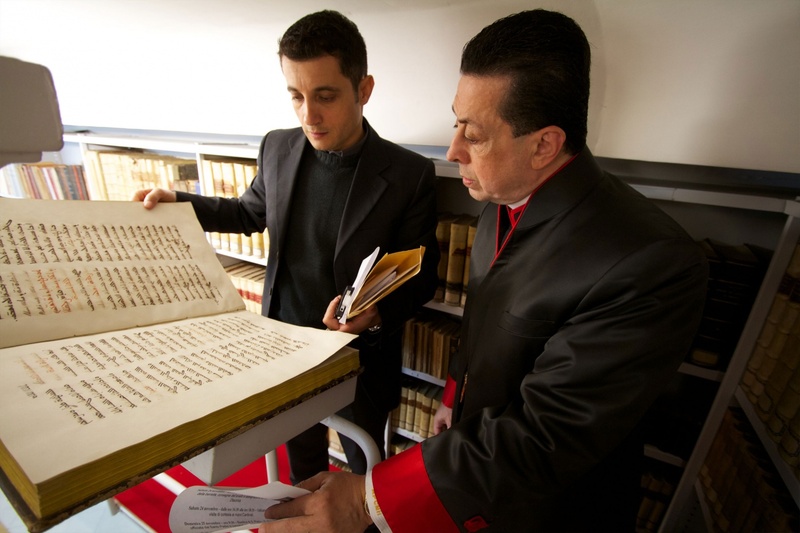 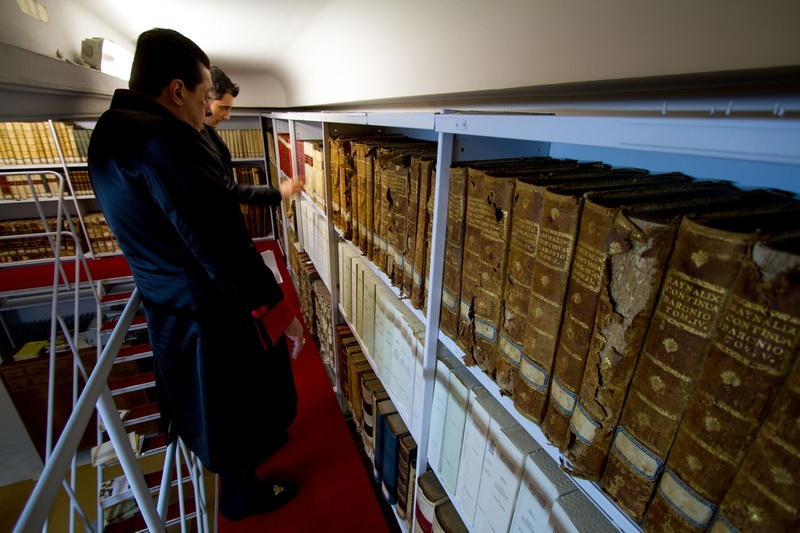 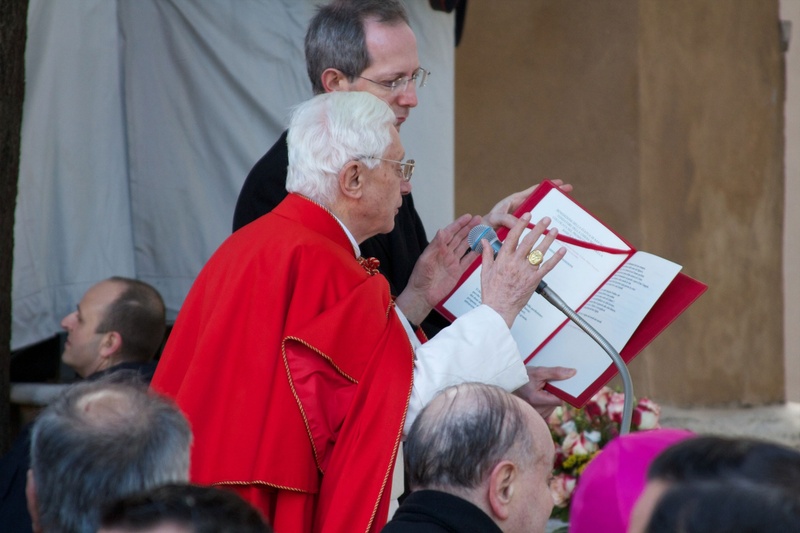 He also presented the Doctor with a rare and precious polyglot that was printed once and given only to a select group of dignitaries and church leaders. 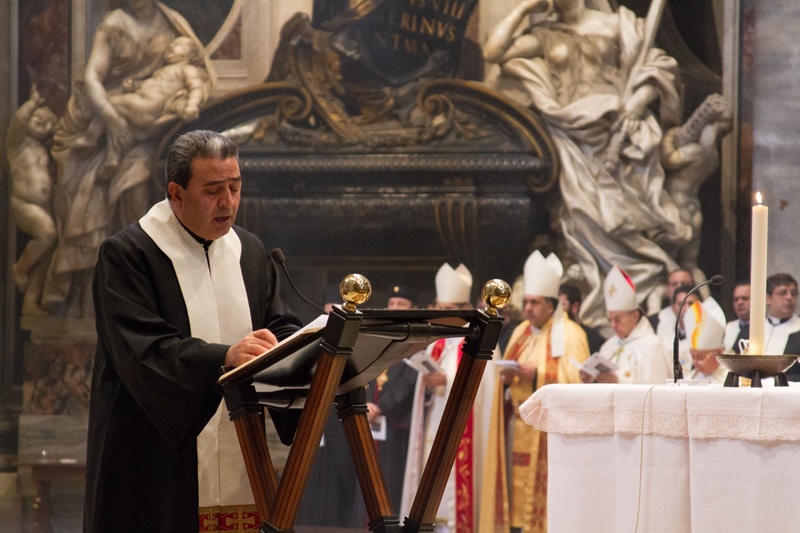 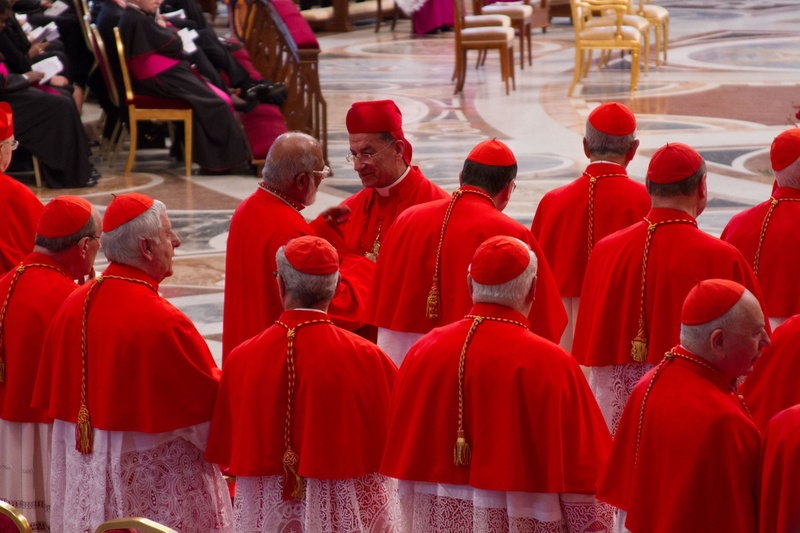 And we thank the many other bishops, clergy, and laity, who have received us, greeted us, aided us, and prayed with us on our many travels across the globe. 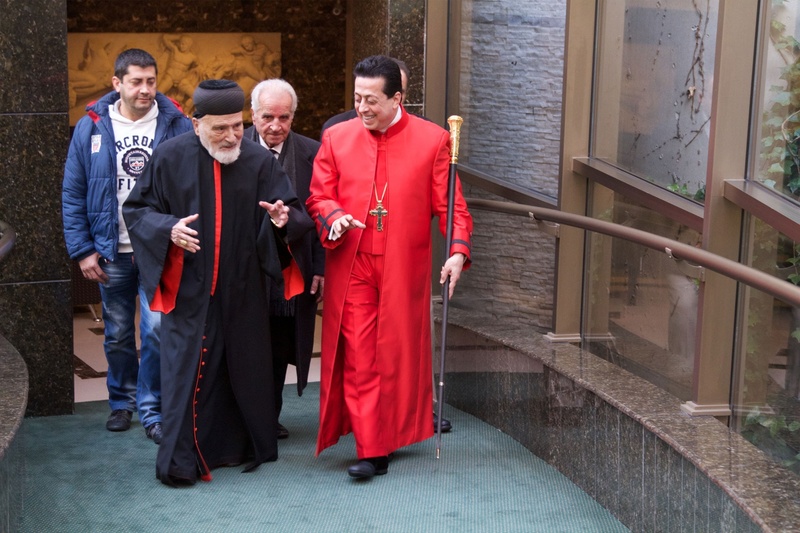 May God bless you and empower you in everything that you do. 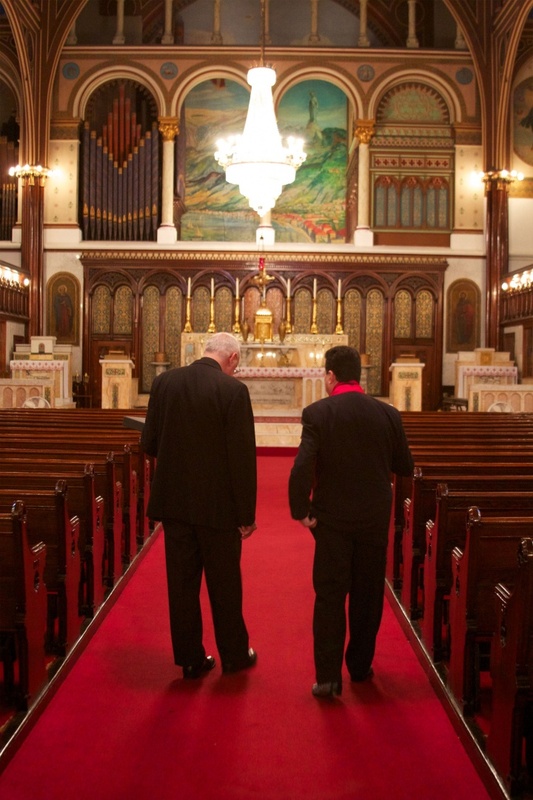 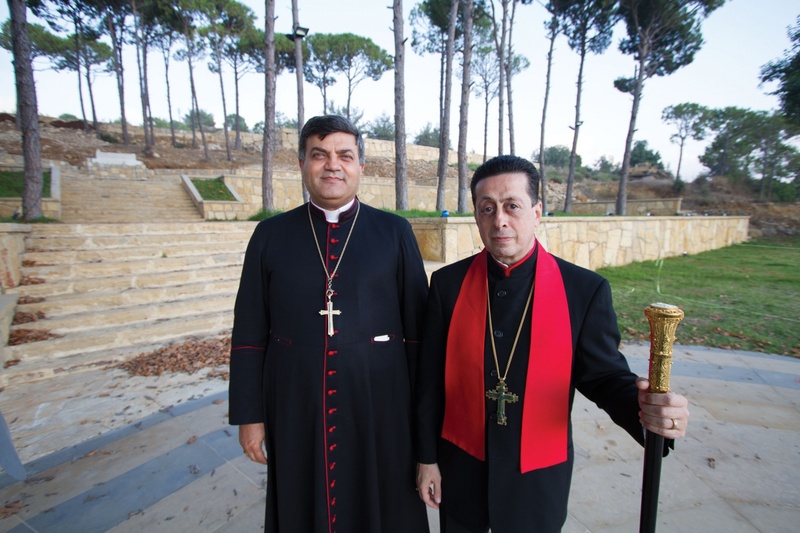 Continue to pray with us for the Eastern Churches, for the Christians of the East, and for the Maronite Church.